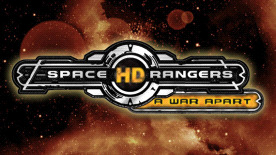 Space Rangers HD: A War Apart remasters and enhances the world of the cult Space Rangers 2. The game was developed by the SNK-Games team in close cooperation with fans of the series. New story branch, upgrades, equipment, planetary battles and famous text adventures expand the boundaries of the already lush universe of the game in every direction, roughly doubling the game content. The game has also received a major technical overhaul to for seamless compatibility with modern OSes. Game art was reworked to support display resolutions of up to 1920×1200 and planetary battles employ modern render technologies.